Resolutions no, intentions YES. Specifically for the New year? Not so much. I’m more of an “as I go” type of gal. I know myself so well and for me, the second I make a resolution (a.k.a. put pressure on myself), or say “I’d never”, I’ll do it. haha.. And then I feel horrible..blah, blah,blah (thankfully I grew out of that, and now save myself a lot of pain)! I strongly believe in the line never say never. How do I know what I am going to be doing when I am ninety years old? (or if I will even get to be elderly in the first place?) I am simply not a fan of beating myself up, so I try not to. At this point in my life I make choices as I go along, and am always asking myself what I want more of, and less of in my life. I am hugely blessed to be in a solid relationship (the new year will mark 10 years), where my partner and I are generally on the same page. When we’re not we really try and do the right thing for both of us. That often times means compromise. Thankfully we are both pretty easy going so that isn’t usually too much of an issue. The new year still holds so much hope for so many though, and with good reason. As far as the environment, global warming etc goes, the passing of time does make a very real difference, if we don’t change our ways. I think that most of us have made some big changes that do and have, made a difference (or at least I hope it has, and will continue to do so). 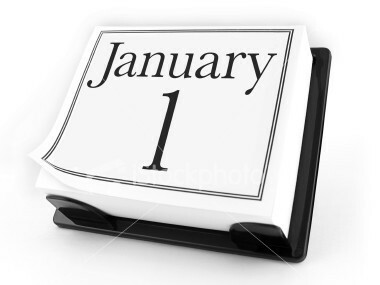 In many ways I suppose the new year is a fresh start. *Although it’s nice to know that if you blow it, every morning thereafter is a fresh start too. Its another opportunity to to ask yourself questions and decide to bring in more of what you love, and ditch what no longer serves you (or at least limit the stuff that no longer serves you). If this post sounds a little matter of fact, I sure don’t mean for it to. I would never want to imply that making changes is easy, or that life is for that matter. Quite the contrary! lol! I just find that for me, having a strong support network, admitting when I am wrong, stopping to ask myself questions along the way, and most of all asking for help, helps me. And I find (for me) that setting intentions is being much kinder to yourself. I’ve quit a lot of things in my life and made enormous changes in my life over the years, and it was never the result of a New Years resolution. But hey, thats only me right? it might just be the ticket for you or someone else! I just love that provided we have good health, each moment can be a new start in just about any direction you choose in this part of the world. We just have countless choices that those in so many other places in the world couldn’t even fathom. I wish all of my friends, family and loved ones, and those in my community, and all across this miraculous planet of ours a wonderful, healthy, vital, loving, joyous and peace filled 2011. I’m ready to bring it on. December 23, 2010 in change, community, friends and loved ones, global warming, gratitude, healing the planet, health, intention, joy, life, new year, peace, the environment.